Problems can often be solved by looking at them in a new way. 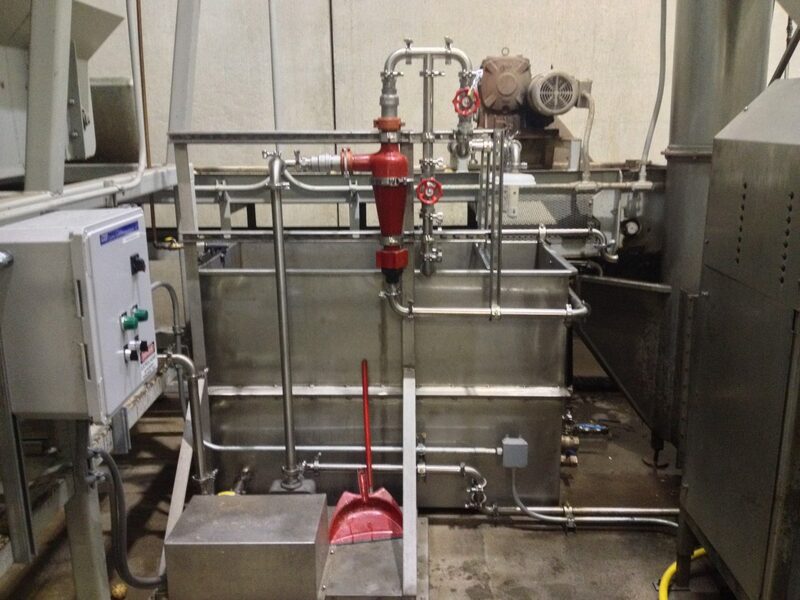 Tim’s Cascade Chips in Pacific, WA had significant expense Washington operations, a large waste water treatment system that struggled to keep up with production and flow limitations on their waste-water permit. Using relatively simple recirculation control loop, two new processes tanks and pumps. Tim’s was able to recycle 75% of their water back into the potato washing and peeling operation. Tim’s capital investment was about the same as the cost for purchasing and treating the old water volumes for one year. 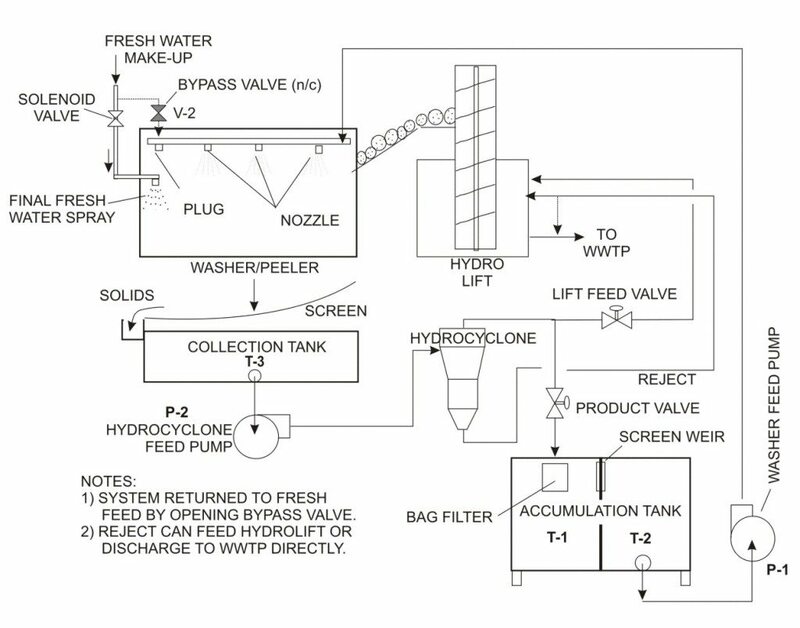 Return on investment for the process approached 70% and reduced many of the underlying hydraulic problems they had encountered in the waste-water treatment. 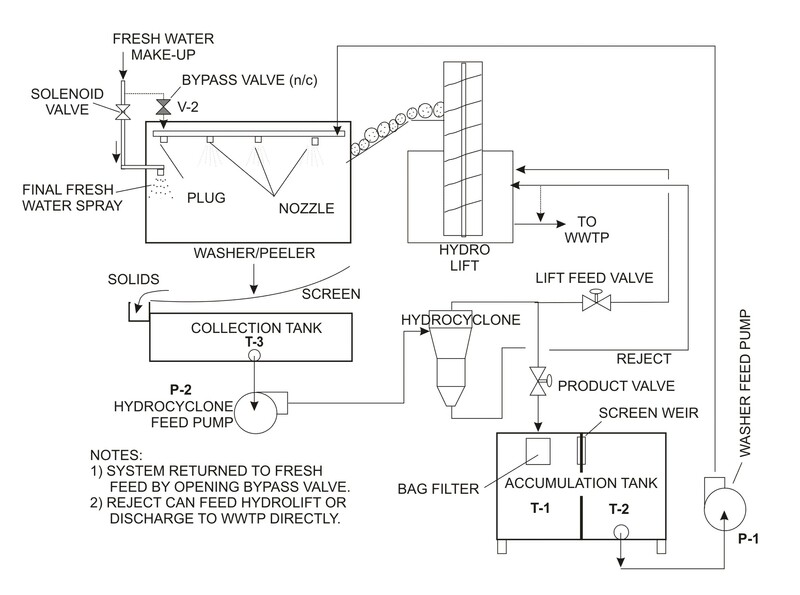 Future improvements are under evaluation to reduce the suspended starch by-products in the recycle stream using dissolved air flotation (DAF) or electrocoagulation or other forms of sedimentation.